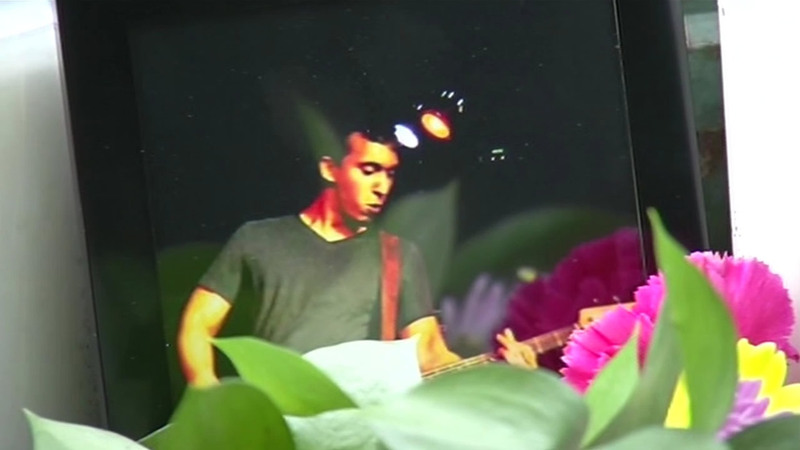 OAKLAND, Calif. (KGO) -- A memorial is growing for a local musician who was fatally shot by a stray bullet in Oakland. People have been leaving flowers and candles outside the Golden Bull Bar. Emiliano Nevarez, 26, played bass for a group called The Lucky Eejits. The shooting happened outside the Golden Bull Bar on 14th and Franklin streets at about 1:18 a.m. Sunday. Police tell our media partner, the Bay Area News Group, that the 26-year-old was packing up his equipment after a show in the area, he he was hit by gunfire. Officers say the shooting erupted after a nearby argument between two men, and one of those men began shooting. A second innocent bystander was wounded in the arm. Investigators are now asking for witnesses to come forward. Anyone with information is asked to contact the Oakland Police Department Homicide Section at 510-238-3821 or the TIP LINE at 510-238-7950.